Make the first introduction. Don’t wait for people to approach you as you might miss out on making the most of your time. When you introduce yourself, be sure to shake hands, make eye contact, and be prepared to tell the person a little about yourself. Shaking hands, or even hugging if it’s the right atmosphere, releases oxytocin in our bodies which helps increase trust between individuals. Eye contact is a great way to connect, and being able to tell someone a powerful statement, or elevator pitch, about yourself will hopefully entice them to keep talking to you. Show them your value. Listen. Listening to what people have to say and asking questions will help you move the conversation along and show you have a keen interest in them. Wear something interesting. If you can get away with a cool hat, dapper bow tie, or a fun piece of jewelry, it could be a great way to fire up conversation. Does this piece have a great story as well? Even better. If you can, help someone out! When you are meeting people, and you know someone who can help the person who you are talking to out in some way, make an introduction. Provide them with information if you have what they need. Anytime you can go out of your way to help someone else out, it will help you in the long run. People you help out will keep you in mind for new hires, sales leads, or even a job opening. Have Fun! Always have fun. You’re networking! It shouldn’t be a chore, so enjoy it. Hide your hands. Keep them exposed as studies have shown that people who shove their hands in their pockets will be trusted less than those who keep their hands exposed. Slouch. Stand up straight and open up your rib cage. Practice your power pose before going to meet people. Power pose is standing with your legs hip-width apart and spreading your arms out as far as you can go! Drink too much. Networking events tend to have alcohol. Be sure to know your limits and not only make sure you are safe, but it will keep you from embarrassing yourself and maintaining a professional appearance. Wear inappropriate clothing. Yes, many people reading this live in Portland where the dress code is pretty casual, but it will never hurt to put your best, or even good, foot forward. I’m not talking about wearing an all out suit or formal dress, but think business casual. Also, know your audience and consider what your goals for meeting new people are and plan accordingly. Give up too fast. Don’t get discouraged if you aren’t meeting people quickly enough. Sometimes, you need to hit the same networking event several times in order to bond with folks or make new connections. 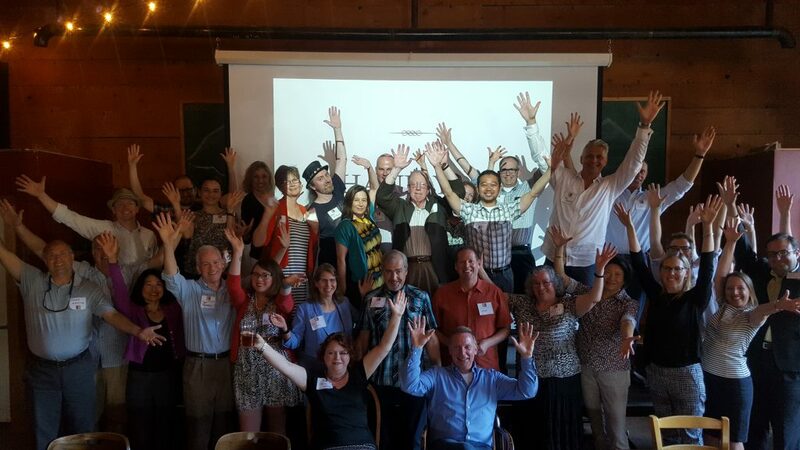 Don’t forget, Anvil manages pdxMindShare, Portland’s premier career-focused networking group. We have monthly educational workshops that include networking as well as a site that has a job board and events calendar you can check out or post to! Hope to catch you at one and you get the opportunity to put your networking skills to good use.